Trinity Offering of Non-Perishable food products; Weekly we will be offering to the Glory of God all our offerings, monetary on the plate, the gifts on Altar and our donations of food for the ministries within our community. 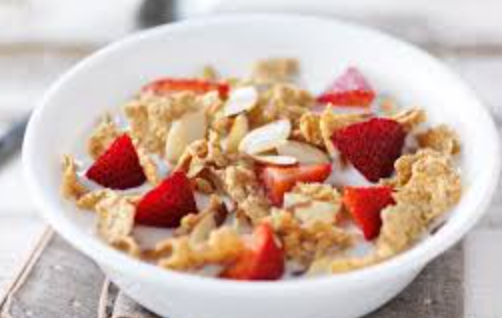 In preparation for this, the 1st Sunday of each month will be known as ‘Cereal Sunday’. St. Luke’s Anglican Church has a very active street ministry where they make available all day long cereals for those who need nourishment. 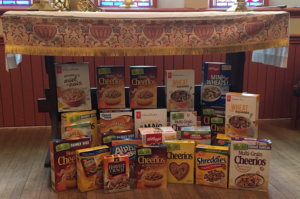 Your gifts of cereal on the 1st Sundays of each month will be delivered to St. Luke’s for this ministry. The other Sunday’s we will be receiving gifts non-perishable foods which will go to support the food cupboards in our uptown communities. etc., Hamburger Helper, canned fruit and canned vegetables. There are two baskets, one at each entrance for your donation and they will be brought up to the Altar for receiving and blessings with the offering.